Custom Orthotics Toronto can often provide relief of foot, knee, hip, pelvis, and lower back aches and pains. Athletes are more susceptible to injuries due to intense and extensive physical activity; however, however virtually all individuals develop some degree of damage to our muscles and joints as a result of age related wear and tear processes. Custom Made Orthotics helps to ensure biomechanical efficient walking and running, and help to prevent damage to your muscles, tendons or ligaments. Book an assessment with our Chiropodist today! Ace Physio Toronto is proudly offering services for Custom Orthotics prescribed and dispensed by our Registered Chiropodist in our Downtown Toronto location. 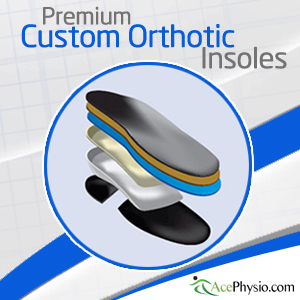 Custom Orthotics were designed to provide comfort and relief to patients and restore mobility and balance. 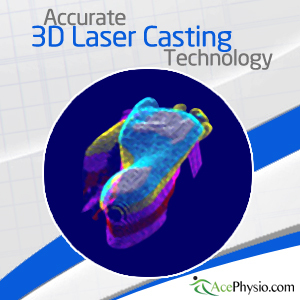 Ace Physio utilizes 3-dimensional laser casting; which is quick, clean and more accurate than traditional methods such as foam molds or plaster of paris. 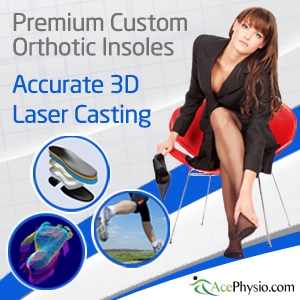 3 dimensional laser casting method is perhaps the most effective and efficient method for producing top notch Custom Foot Orthotics Toronto. The 3-dimensional laser casted inserts can be fitted inside the shoes of patients, in order to help and assist in performing walking while preventing abnormal foot motion.